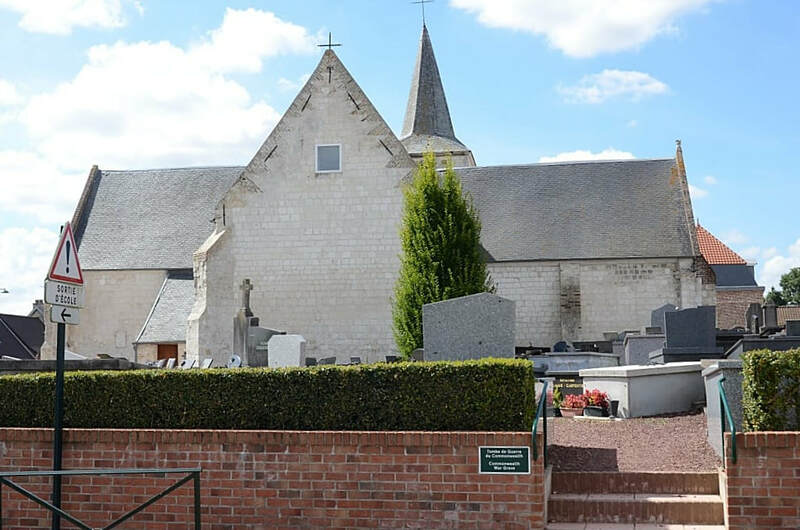 This is one of thirteen small Churchyards in the Department of the Pas-de-Calais which lie south of Gravelines and west of St Omer. Serques Churchyard is in the centre of the village. 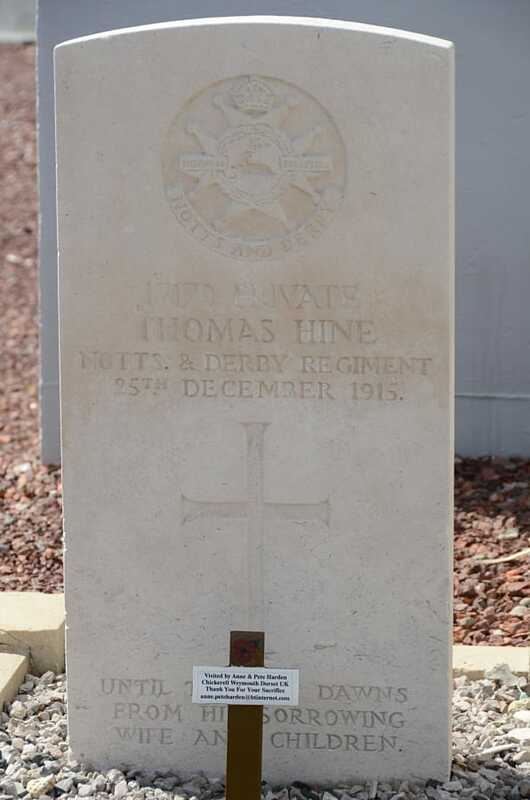 17179 Private Thomas Hine, 12th Bn. Sherwood Foresters (Notts and Derby Regiment), died 25th December 1915, aged 38. Husband of Ada Hine, 41 Ossington Street, Radford, Nottingham. 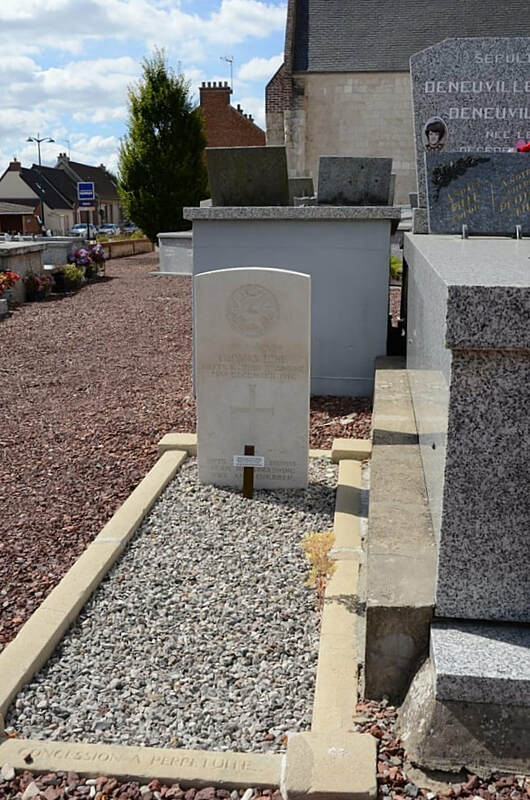 (Grave is located in the South-East corner of the Churchyard.